New herb bed before the process of killing the grass began. Whenever an area of grass needs to be killed off, people are quick to grab a bottle of RoundUp or other herbicide and start spraying away. 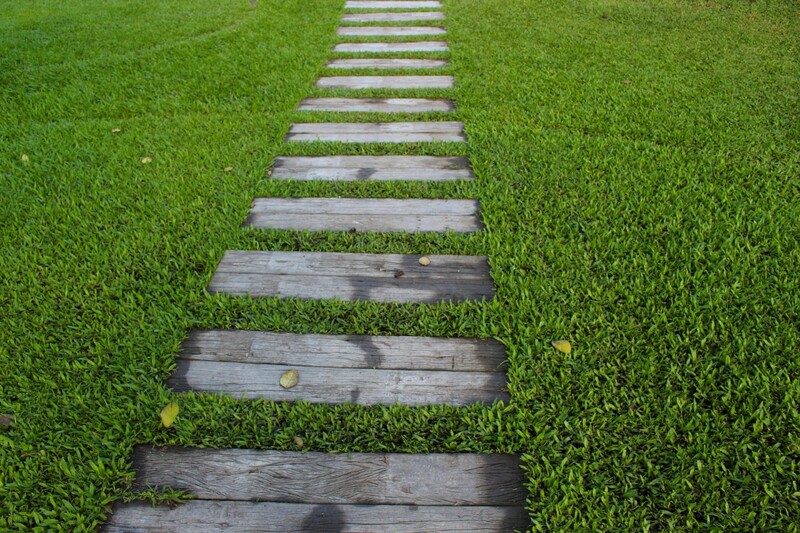 The problem with this method is that chemicals that kill grass can also cause environmental and health issues. 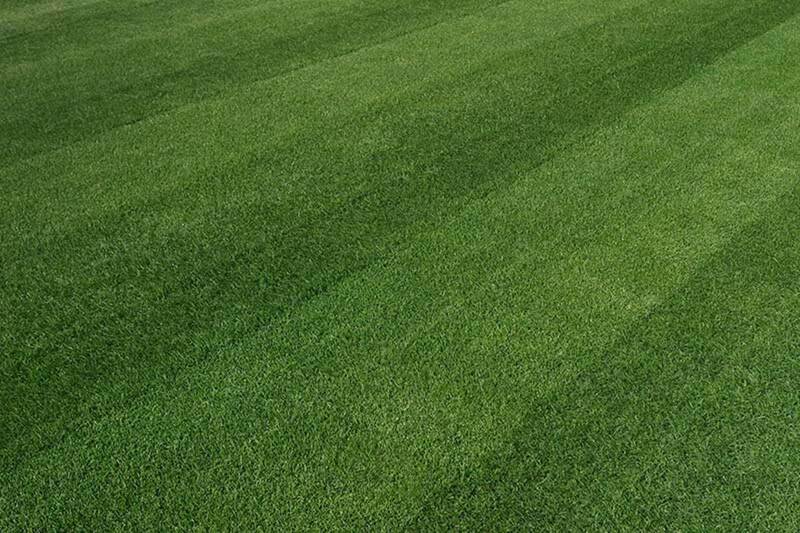 This is the main reason why so many people are looking for an alternative to chemicals or going completely chemical free when getting rid of grass that has grown in unwanted areas. I extended what was once a flower bed but will be an herb bed for us this year on the back of my house. The grass in this area grows really well so before turning over the soil, it was necessary to kill off the grass inside the rock outline. We don't use chemicals anywhere in our gardening because what we grow is eaten by us or our chickens. 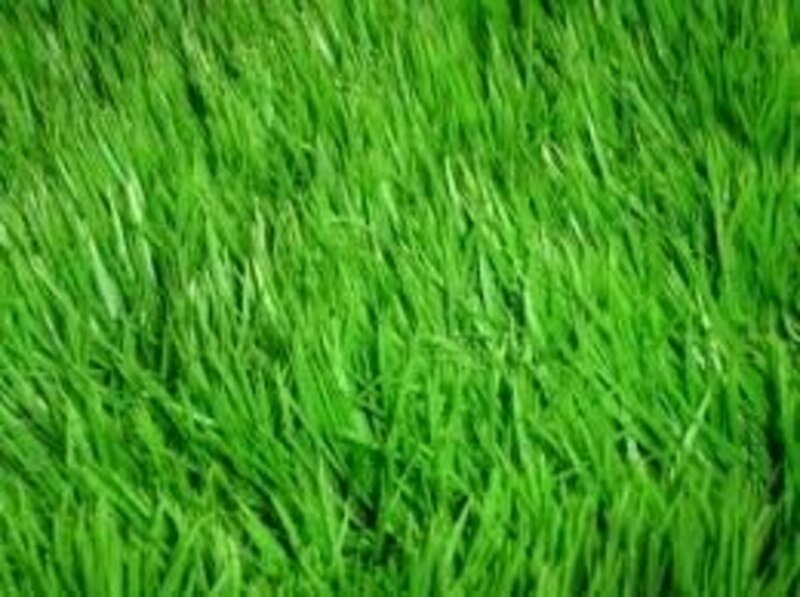 I like to err on the side of safety so I had to come up with a method for killing grass without using any chemicals. Preparing the area of grass that you want to kill off is quite easy. The shorter the grass is from the beginning, the faster the process will be. I would suggest weed whacking the grass down to the ground if possible or as close as your particular weed eater will get it. Unfortunately for my examples with the herb bed, my weed eater was out of commission. The grass is extremely tall for this process at approximately 3" which added a lot of time to the process. I was letting everything grow in the area to collect the grass clippings once it was mowed. The area after the newspaper and wood have been laid down on top of it. The next step is to cover the grass with some sort of organic material. I used grass clippings from mowing the rest of the area since it is spring. If it were fall outside, I would have used leaves instead. Either is OK but grass clippings can contain weed seeds which can cause problems later in the season if the area is not mulched correctly or maintained so in my opinion, leave are actually better. 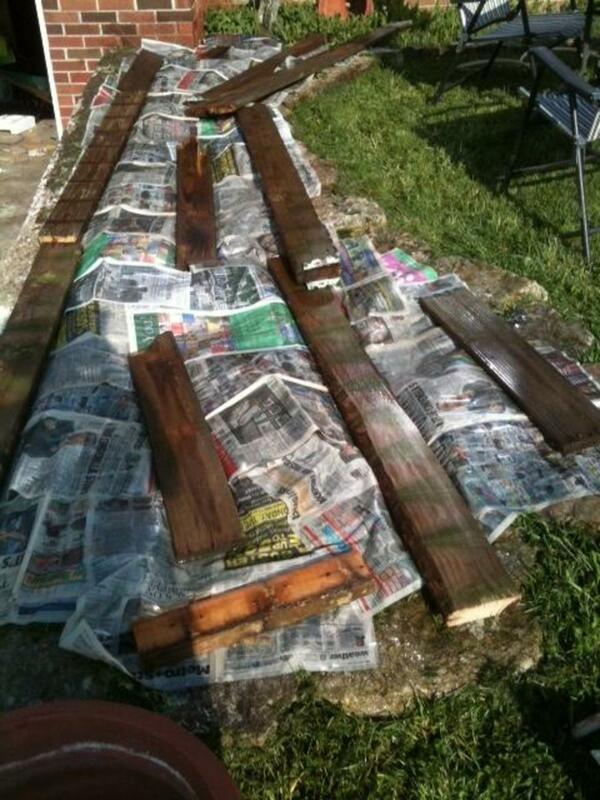 Next you will want to put a thick layer of newspaper over the leaves or grass clippings. It is nice to have someone help you with this step if the area has any size to it so the newspaper doesn't blow away with the breeze and you end up either littering the neighborhood or chasing down renegade newspaper pages. This will also add some organic material to the soil as the newspaper starts to decompose. 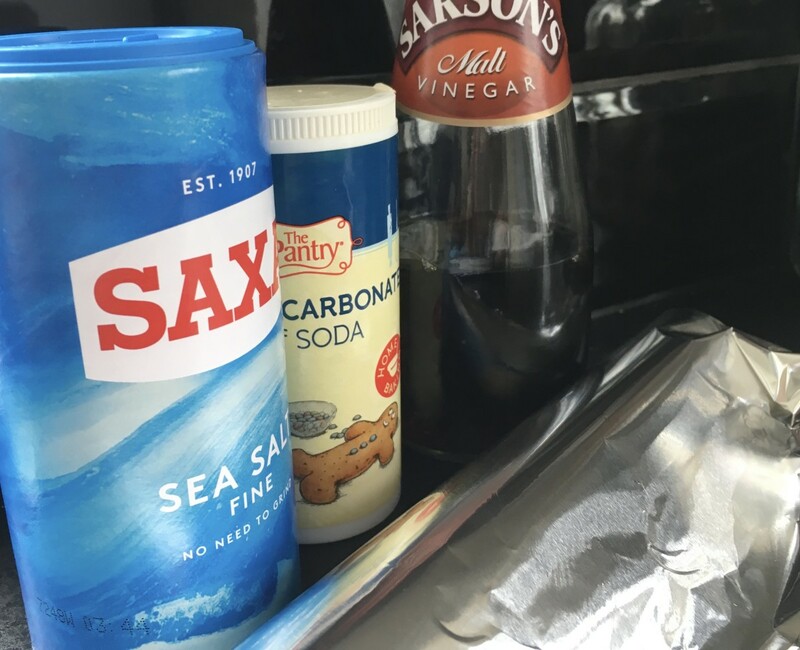 As you are laying the newspaper down, make sure you have something to keep it in place. 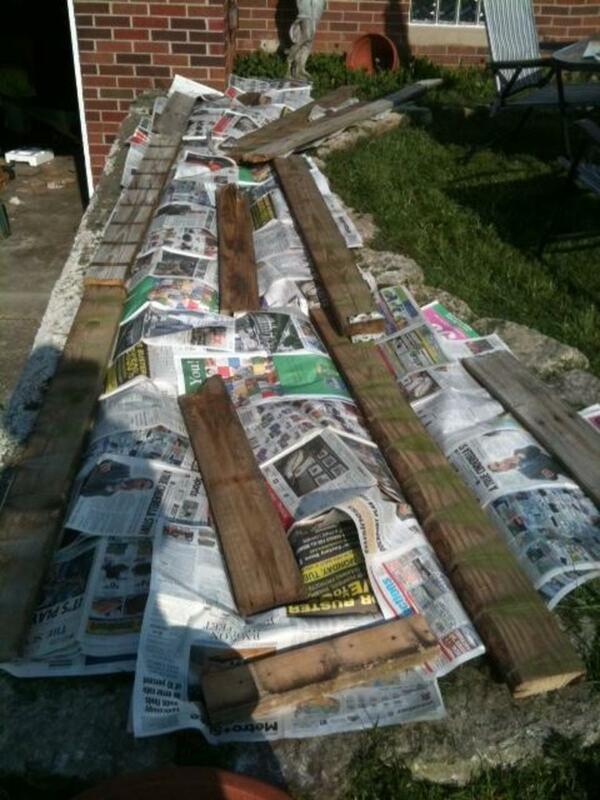 I used some of the wood out of my recycle pile to hold the newspaper in place. You can use almost anything including rocks, blocks, heavy tree branches or logs as a few suggestions. Newspaper and wood kept wet for the duration of time it takes to kill off the grass. The next step is to water it all down and keep adding water to it during the duration. The water will keep the newspaper in place to block out the sun. It makes the newspaper heavier which smashes the living grass down quite a bit in combination with the wood. Everything together acts like a weed would depriving it of light and squeezing it out. As you can imagine, this method doesn't provide extremely quick results. Since my grass was so tall, it ended up taking right at three weeks for it to die enough that I could turn the soil without turning living grass into it. The shorter the grass is when this process is started, the faster it dies and the wait time decreases. The grass was less than 1/2" tall in another area that I did like this and it was ready within a week. Baby chickens in the freshly turned dirt. 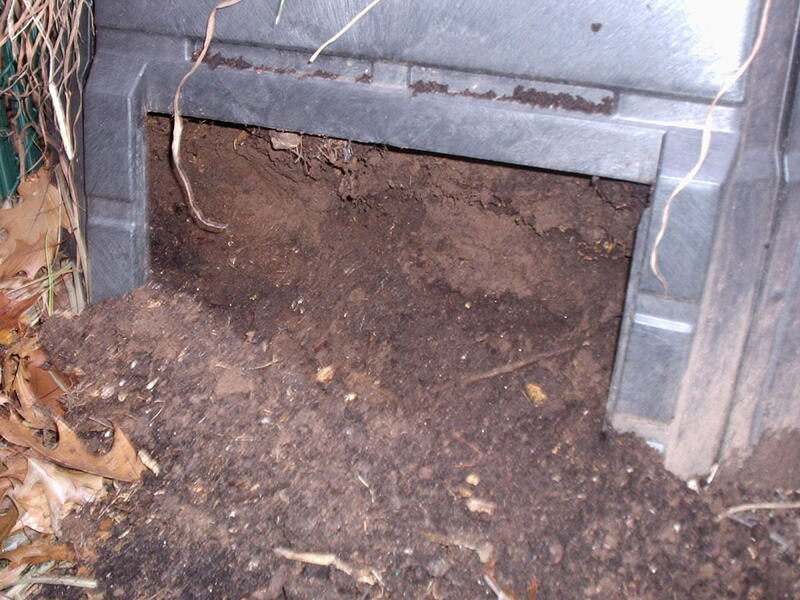 The end result is a nice area of bare or almost bare soil to turn over for planting something new there. We had just finished turning the soil for the first time after using this method of killing grass without chemicals which meant it was safe for any animal to visit. I decided to allow our baby chickens to scratch in the dirt for a while so they could enjoy all of the insects and worms that appeared when we turned the dirt over. Being able to allow animals and humans to enjoy the benefits of clean dirt without the threat of becoming ill from chemicals is my favorite thing about this method of killing grass. I don't have to think twice about touching it bare handed while I'm planting it and I don't have to worry about chemical residue getting into anything else on my property. Including my chickens. Do you use chemical in your yard? I want to kill grass and rose bushes to clear an area. How can I do this quickly? 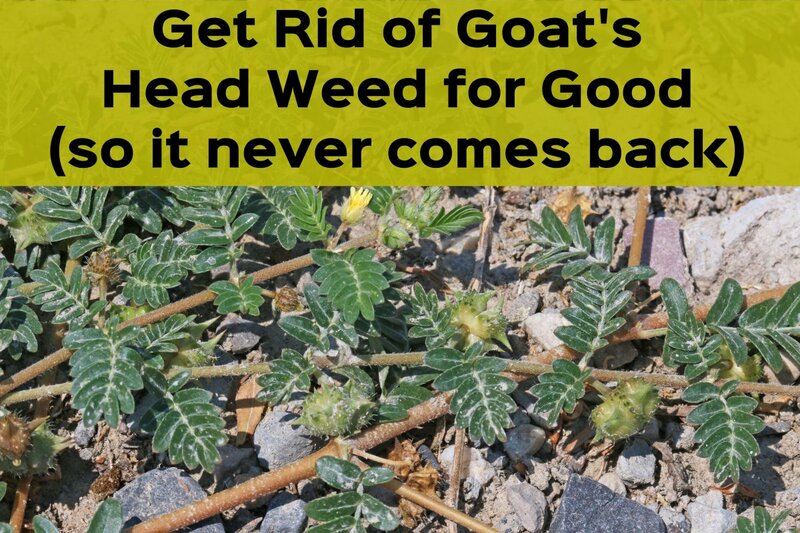 The fastest way to do it is with weed killer. Why are my grass leaves turning from green to yellow? They do that when the plant starts to die off. Thank you so much for this great idea. Your instructions were very well written. I have animals and I want them safe too. Thank you! 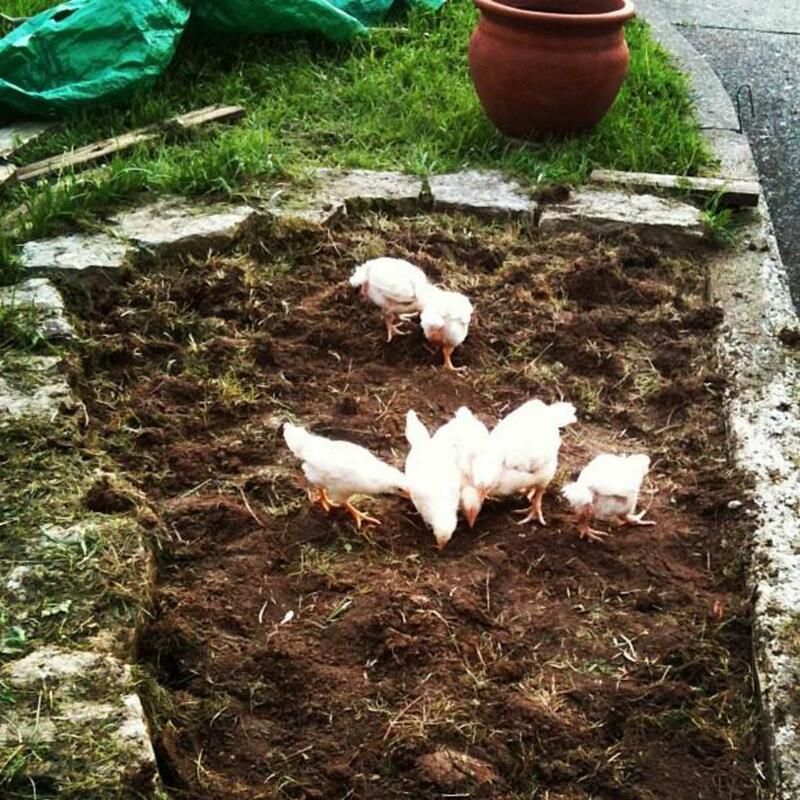 The chickens love the fresh patches of dirt. They aerate & fertilize the soil for me. We are planting a new patch of corn next spring and will leave our newspaper covered with a tarp all winter. This spring it will be a great square of dirt that will be completely grass free & ready for planting once the compost is mixed in. I tried that this year, and it killed everything but the Bermuda grass. It just kept coming back. Even with paper, plastic and mulch! After I pulled all the roots! I think it crawled over from the neighboring field. Still, I may try it again next year with more newspaper, starting BEFORE the grass puts up in the spring. I will just leave in on until time to make new beds. Something has to work soon. I get really tired of going out everyday and pulling the same darn grass! Voting up! Love the baby chickens! It works really well and is so much better for the environment than spraying chemicals. It just takes a little patience. :) I'm getting ready to do another area here in the next week. Good info. Great hub. Voted up. I used this method once in my vegetable garden for controlling weeds. Thank you! A friend told me about this with regard to doing landscaping. She has a beautiful garden so she knew what she was talking about. 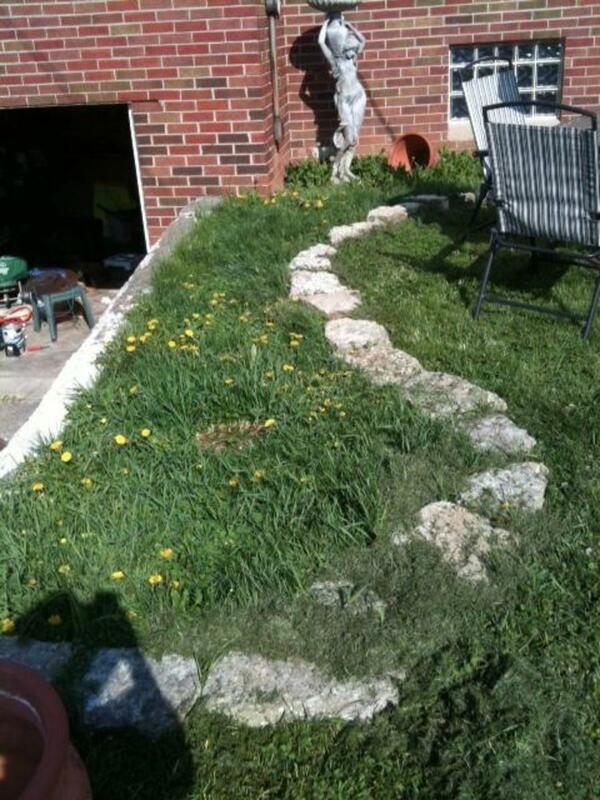 She said that she never pulls up grass before landscaping an area. She covers it with newspaper or cardboard, lays a few rocks or bricks on top, lets it sit for a couple of weeks, and then brings in dirt to pile on top. 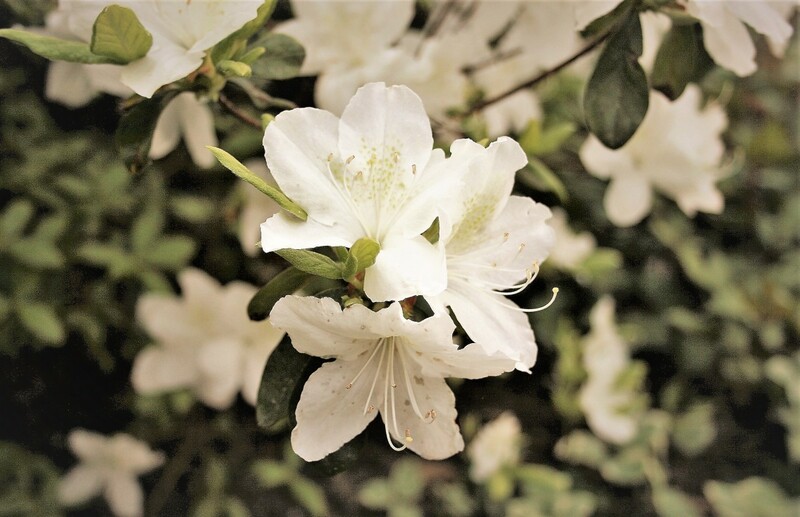 If she already has her plants and shrubs, she takes them out of the bags or pots, and sets them where she wants them on top of the newspaper, and fills in the soil around them. Voila! No pulling grass, and no digging holes for the plants and shrubs. I did this and it works great!